REELRADIO - The Ron Jacobs Collection! Always on the cutting edge of technology, Jacobs used a mobile phone to "hotline" boss jocks while building KHJ. A native of Honolulu, Ron Jacobs began broadcasting as a high school reporter at the age of 15, but his professional radio career began in 1953 as the all night disc jockey at KHON, when he dropped out of high school. 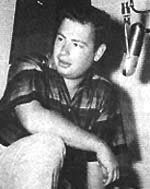 In 1957, Henry J. Kaiser hired Jacobs and Hawaii radio legend, impresario and record producer Tom Moffatt to play rock 'n' roll music in Hawaii at KHVH Radio. There they met Elvis Presley and his manager, Colonel Tom Parker. Jacobs and Moffatt remained close to Parker for 40 years. Jacobs joined KPOA in 1958 and earned the distinction of being Hawaii's youngest program director. It was there he began his friendship with Bill Gavin and consultant Mike Joseph. In 1959, Jacobs joined another new station, KPOI, Hawaii's first Top 40 outlet, as PD and morning drive jock. KPOI and the "POI boys" reached the top of the ratings in less than a year. In 1962, Jacobs left for the Mainland, promoted by the Colgreene Corporation to Vice President of Programming. Fine-tuning his formatting concepts, he applied them to KMEN in San Bernadino and KMAK in Fresno, California. Within months, both stations were rated Number One. His success came to the attention of radio consultant Bill Drake, a Fresno competitor. Joining forces, Drake hired Jacobs, then 27, to program KHJ in Los Angeles. It was at KHJ that the "Boss Radio" format achieved national recognition. KHJ reached the Number One position in Los Angeles within six months. 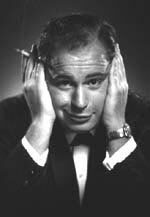 While at KHJ, Jacobs produced the 48-hour special, The History of Rock And Roll, radio's first "rockumentary," a term he coined to describe the much-imitated epic broadcast. In 1970, Jacobs left KHJ for a new role, co-founder and vice president of Watermark, Inc. Together with Tom Rounds, an alumnus from KPOI, he launched American Top 40 with Casey Kasem  the most widely syndicated radio program in history. At Watermark, Jacobs also produced the critically-acclaimed and award-winning Elvis Presley Story. Then Jacobs began a long-dreamed-of project  a 13-album record series entitled Cruisin': A History of Rock'n'Roll Radio. Each album re-created the radio show of a disc jockey who held regional dominance during the developing years of rock music. Jacobs also produced several other albums, including A Child's Garden of Grass for Elektra Records. There would be one more stop before Jacobs would return to Honolulu: KGB AM/FM Radio in San Diego. Recent RJ, as featured in The Robert W. Morgan Bossography, 1998. 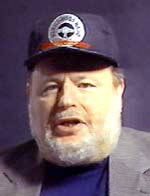 "In 1972, when I arrived in San Diego, Ron Jacobs' KGBs (AM and FM) were the talk of the national radio industry. The stations were an innovative blend of research and creativity. I had been working on a similar concept that I dubbed Album Oriented Rock ("AOR") -- a departure from progressive FM rock radio. The subsequent three year battle that took place between my KPRI and Jacobs' magnificent KGB was a seminal display of some of the techniques, styles and formatics that would shape the FM dial over the next quarter century. It was the first "AOR" contest and we commanded lots of attention. Looking back at the stuff Jacobs and his great staff were doing at KGB, I realize that the situation forced me to dig deep down and approach FM rock programming with a level of focus and discipline that I never would have needed to reach had I not been so lucky to be in competition with one of rock radio's great experiments -- the Ron Jacobs-era KGB!" Shortly after Jacobs took the reins of KGB, the station was Number One. The KGB Chickenlater known to the nation as "The San Diego Chicken"  also hatched from Jacobs' fertile imagination. In 1972, Ron Jacobs was honored by Billboard magazineas "Program Director of the Year." Two years later, Billboard named KGB "Station of the Year." In March of 2002, he completed his long-awaited book KHJ: Inside Boss Radio. The book was a large (8.5 x 11") format with 433 total pages. In addition to the 280 Memos to the Boss Jocks that were generated by Jacobs between 1965 and 1969, the book featured hundreds of quotes, subjects, contributors, jargon, contests, promotions, and a KHJ "Who's Who". For the past few years, Ron Jacobs has been back home, in Hawaii. He started "brah-casting" again on July 7, 2007, and streamed contemporary & vintage hawaiian music at WHODAGUYHAWAII.COM through February 28, 2009. Ron Jacobs was a veteran contributor to HAWAII Magazine and published OBAMALAND: Who Is Barack Obama? in December, 2008. He was working on the book long before it seemed certain that Obama would be nominated. It's the only book about 44th President of The United States (besides his own) written by someone born in Hawaii. Ron Jacobs passed away, unexpectedly, in Hawaii on March 8, 2016. He was 78. The Repository thanks Ron Jacobs for all his contributions, then and now. Ron Jacobs Presents The KHJ Sales Demo, 1965  KHJ/Los Angeles General Manager Ken De Vaney narrates this demonstration tape produced in 1965. Ron Jacobs Presents CRUISIN'  The ORIGINAL Series, from Vinyl. This feature was updated monthly beginning May 25, 2008 through June 28, 2009. This exhibit now includes all 14 original albums. Ron Jacobs on KKUA Honolulu features Whodaguy and his KKUA morning show from 1976. The Story of The Elvis Presley Story includes the final hour of the the actual program as streamed August 16-19, 2002, in broadband STEREO. The Elvis Presley Story Demo, 1977 features Wink Martindale and excerpts from The Elvis Presley Story, as Produced and Directed by Ron Jacobs and distributed by Watermark. The Game Plan to Beat Miami, introduced by Reni Santoni is the story of Ron Jacobs' seasonal salute to the 1972 Miami Dolphins  the only NFL team to go undefeated for an entire season. Actor Reni Santoni appears as The Monday Morning Quarterback with the Grossmont High School Pep Band. Classic fun! Ron Jacobs on KPOI, Honolulu 1964 features an upbeat RJ morning show. 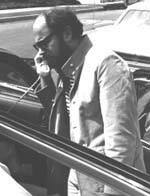 Previously, Jacobs had left morning drive at KMAK (Fresno) in the capable hands of Bob (Robert W.) Morgan. 14 months later, Jacobs was named Program Director at the original Boss Radio 93 KHJ in Los Angeles. (Thanks to Jay Marks for this aircheck). Number One Then And Still After Ten A tribute from Friends of Robert W. Morgan on the tenth anniversary of his death (5/22/2008). On April 1 & 2, 1997, The Reel Top 40 Radio Repository proudly featured our first Special Event: The 25th Anniversary Presentation of The 1972 KGB Recycle Documentary by Ron Jacobs. Just as it was on April 1 & 2, 1972 in San Diego, this record-breaking replay was repeated, non-stop, for 48 hours around the world on the Web. The 1972 KGB Recycle Documentary by Ron Jacobs includes the original audio feature and the fascinating story behind the production. More to Come from the Ron Jacobs Collection!